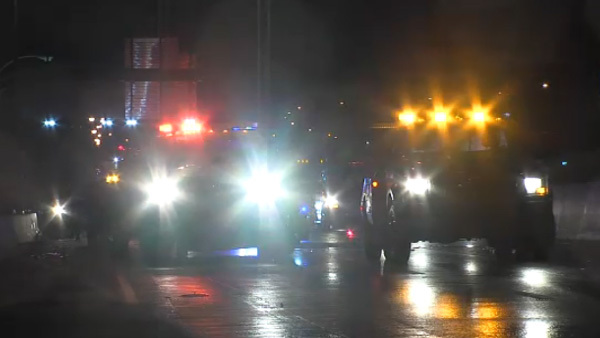 PHILADELPHIA (WPVI) -- Three people were injured in an overnight crash on Interstate 95 in the Fishtown section of Philadelphia. The crash happened around 12:30 a.m. Saturday in the southbound lanes past Girard Avenue. There was no word on the severity of the injuries. Traffic was backed up while police worked to clear the scene.